A comfortable, stylish bus to take long trips in, Mercedes-Benz Sitcar buses take German engineering to the next level. Terrific as chartered buses for cross country adventures, or day trips to the casino, Sitcar buses are designed with the passenger’s comfort in mind. Take a moment, however, to think about all of the electrical applications on a luxury transit bus, and how often these applications are used while the bus is idling. Special lighting, wheelchair ramps, and other functions require a large electrical load that the alternator and battery must handle. Because of this, Sitcar buses come stock with a high output 180 Ampere alternator that is capable of handling such heavy electrical loads. However, the stock Sitcar bus alternator also takes a toll on the engine. These types of alternators are known as high output, high RPM alternators. Why is this a problem? Not only does this type of alternator wear on the engine, it also puts a lot of strain on the battery and the alternator itself. 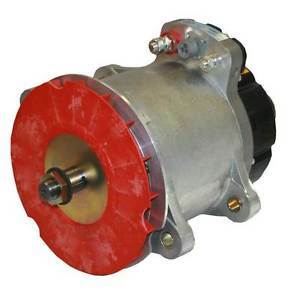 Use of these high output types of alternators also requires bus owners to install additional components, such as multipole battery packs, load shedding devices, and high idle devices to handle the strain. The switch from a Sitcar bus alternator to an Eco-Tech alternator, however, is a smart choice. 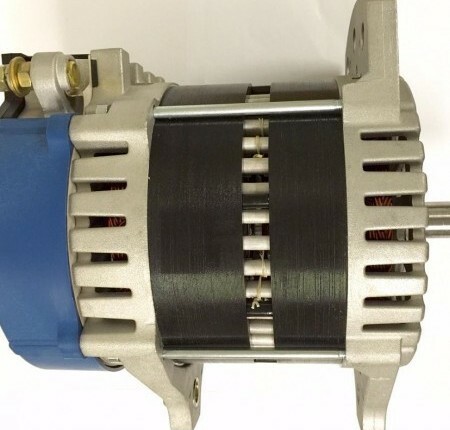 The Eco-Tech alternator is a high output, low RPM alternator, eliminating the need for extra components, and saving money on wear and tear on the vehicle. These low RPM alternators are also especially good for the environment. The fuel penalty experienced at idle is cut by 52 percent with a switch to Eco-Tech. Not only is this eco-friendly, it saves thousands of dollars per year on gasoline. Lastly, an alternator rated at 180 Amperes usually produces far less voltage at idle, but Eco-Tech alternators are still able to deliver at high Amps, making Eco-Tech the best choice for Sitcar buses.